5 foods to reduce breast cancer risk - Healthcare Asia Daily News | Asia's Leading News and Information Source on Healthcare and Medical Industry, Medical Technology, Healthcare Business and R&D, Healthcare Events. Online since 2010. : Healthcare Asia Daily News | Asia's Leading News and Information Source on Healthcare and Medical Industry, Medical Technology, Healthcare Business and R&D, Healthcare Events. Online since 2010. 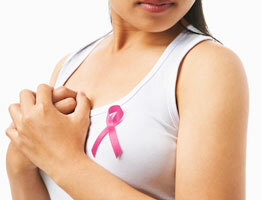 The breast cancer mortality rate in India is dangerously high. There are various reasons why so many Indian women are increasingly becoming victims of breast cancer. Our bad lifestyle habits with regards to diet, sleep, smoking, alcohol consumption, stress, lack of exercise and also genetics can be blamed for breast cancer. It is imperative for every woman to do self breast examination and seek immediate medical help if she notices any symptom of breast cancer. What we can also do is increase our intake of fresh vegetables and fruits and other healthy ingredients so as to protect our and our future generation’s health. Here are some foods you must consume regularly that will help keep breast cancer away. Till seeds: These contain polyphenols called lingnans. The intestinal bacteria metabolise these to form mammalian lingnans called enterodiol and enterolactone which have strong anti-cancer and antioxidant qualities. Similar to oestrogens, they help reduce the risk of breast cancer. It also contains sesamin which prevents tumour growth by stopping cancer cells and tumours from developing their own blood supply. Plums and peaches: They are also rich in polyphenols. According to studies the polyphenols present in plums and peaches may be effective in preventing breast cancer cells from forming and multiplying. Research also shows evidences that this element can differentiate between healthy cells and cancerous cells and kills the harmful ones. Aloe vera: A compound called acemannan found in aloe vera has antiviral and anti-inflammatory properties. These help strength the immune system. Research has also shown it to inhibit the growth on cancer cells. These properties of aloe vera make it an ideal natural solution for breast cancer prevention. Flax seeds: These contain a high level of antioxidants, Omega 3 fatty acids and lignin which protect against breast cancer, prostate cancer and colon cancer. Lingin, especially targets tumours that are hormone sensitive eg: estrogen-sensitive breast tumours. Tulsi: This plant contains carnosol which has shown promise in slowing down cancer cell growth in liver, stomach, prostate and breast cancer as well as leukaemia.